If you need a Rocky Mount NC Worker’s Compensation Lawyer, keep reading for how The Bishop Law Firm can help. We represent worker’s compensation clients in Rocky Mount and surrounding areas. Call us today for a free case evaluation at (919) 615-3095. The largest industries in Rocky Mount are Manufacturing and Healthcare & Social Assistance. Agriculture (especially tobacco) and textiles also contribute to the economy via RockyMountnc.gov. As of 2016, Pfizer, Nash-Rocky Mount Public Schools, Cummins and UNC Health Care were the largest employers. Agriculture, Healthcare & Social Assistance and Manufacturing are in the top five most dangerous industries in the United States. In fact, statistics show that hospitals are one of the most hazardous places to work. No matter where you work in Rocky Mount, being hurt at work can cost you pain, time, money and frustration. Contact us for a free case evaluation at (919) 615-3095! We can help with the below steps. Accepted – the insurance company has agreed that you have a claim, but what is covered and what happens if the insurance company will not pay for treatment that you need? Having a Rocky Mount NC Worker’s Compensation Lawyer on your side can help you obtain the treatment that you need. Denied – the insurance company is denying that you have been hurt at work or that you have a compensable injury. Contacting a Worker’s Compensation Lawyer should be your next move. 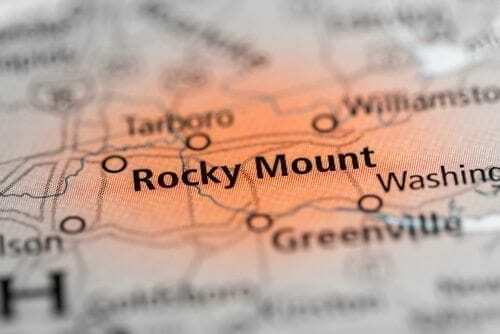 Do you need a Rocky Mount NC Worker’s Compensation Lawyer? A Rocky Mount NC Worker’s Compensation Lawyer can help you attain necessary medical treatment and recover more of your accident-related expenses as well as file forms with the N.C.I.C. and communicate with the adjuster. If you feel that you are not receiving all the medical treatment that you need to recover or if the workers compensation insurance company has denied your claim giving a lawyer a call may be the only way to recover. The Bishop Law Firm represents workers compensation clients in Rocky Mount NC and we do not get paid unless you win. Give us a call today for a free case evaluation, (919)615-3095!